The milk production forecast for 2018 is lowered from last month on expectations of slower growth in milk per cow. 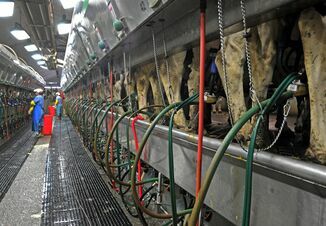 From January to February milk production is expected to drop by 100 million lb. 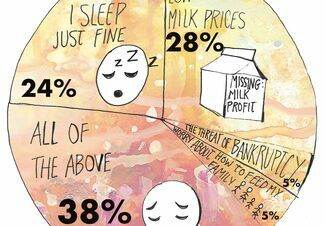 However, milk production is slated to rise by 3.3 billion lb. since the same time last year. The 2018 fat basis export and import forecasts are unchanged from the previous month. On a skim-solids basis, the import forecast is raised slightly while the export forecast is raised on strong global demand for skim milk powder, lactose, and whey products. The 2017 production, trade, and stock estimates are adjusted to reflect December data. Annual product price forecasts for cheese and butter are lowered from the previous month as demand remains relatively weak. No changes are made to the annual prices for NDM and whey. The Class III price is lowered on the cheese price projection while the Class IV price is down on a lower butter price forecast. The all milk price is forecast is reduced to $15.70 to $16.40 per cwt. 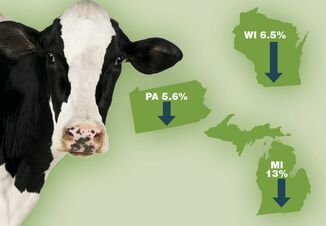 Last February milk prices were at $17.63 per cwt.